W Retreat & Spa Bali's description sounds much like the perfect woman. They meld the W brand's playful personality and divine attention to your needs with Bali's natural beauty and rich cultural heritage. 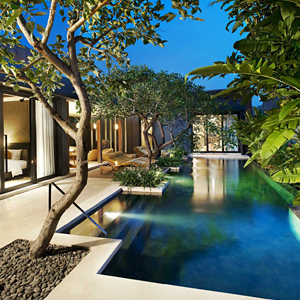 Opened on March 1st, 2011 this very new resort is the third W Retreat to open in the past 12 months, and the first W hotel on Bali.